Tigris and Euphrates of this little empire. I wonder why he refers to himself in third person? Mary Evans is Chabon’s literary agent. Her clients include Nicholas von Hoffman and Christopher Castellani. Douglas Stumpf is an editor at Vanity Fair and other Harper Collins Publications ~ he wrote Confessions of a Wall Street Shoeshine Boy. Chabon calls him “the heroic Douglas Stumpf” in The Amazing Adventures of Kavalier and Clay. Today: Irishman Darren Shan‘s Procession of the Dead. It’s his first adult novel after decades of totally awesome young adult Cirque du Freak fiction… it’s scary and thunderous and totally Frank von Stuck-ish. Gerry Vaughan-Hughes – Pip! Pip! Pooray!!!! but knows about writing) for her astonishing tolerance. And to Leila, Leo and Joey, for all the smiles. but he taught me to question everything. 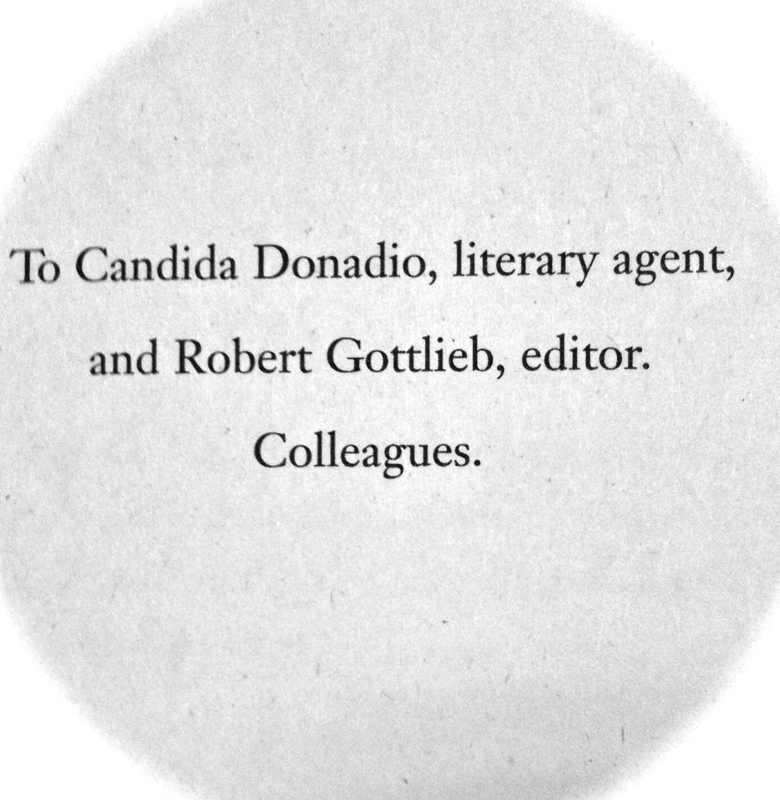 To Candida Donadio, literary agent, and Robert Gottlieb, editor. 2Y&Y: Candida Donadio was Heller’s agent.